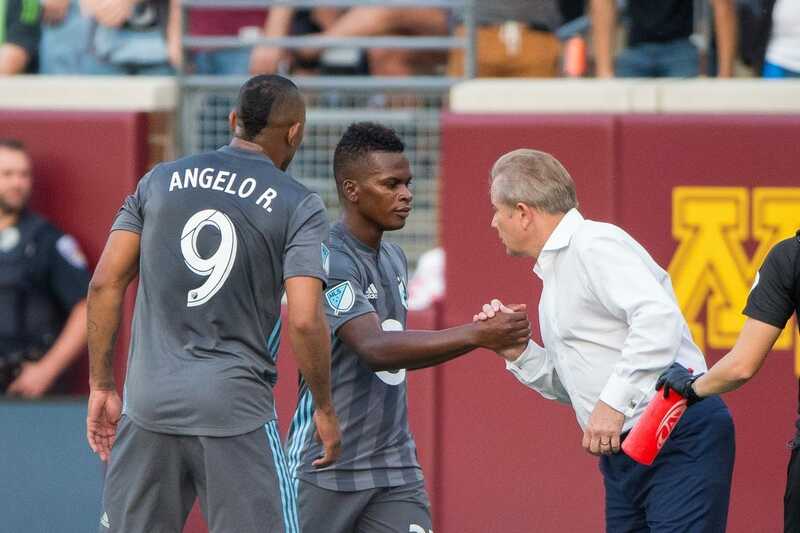 After being eliminated from postseason contention last week, Minnesota United can try to rebound by continuing to build on its an impressive home record when they host the Colorado Rapids on Saturday. Only two teams have more wins on their home pitch than Minnesota's 10 victories at TCF Bank Stadium this season. With two of their final three games coming in Minneapolis, the Loons (11-17-3, 36 points) still have a chance to beat their total of 36 points from 2017, their inaugural season. To be sure, this would be only a consolation prize for a Minnesota side that was hopeful of reaching the playoffs this year. Defender Eric Miller, however, still feels his team is motivated for a strong finish. "For a lot of guys there is still a ton to play for, whether that is getting your option picked up, trying to get a new contract for next year or trying to impress the staff or other people around the club for next year," Miller said. The Rapids (6-19-6, 24 points) are also trying to put a positive end to a disappointing season, and are hoping to snap a seven-game losing streak. Colorado has won just one of 16 away matches this season, though the Rapids could see Minnesota United as a potential antidote for their season-long scoring issues. The Rapids have scored a league-low 32 goals this season, while the Loons' 63 goals allowed is the third-highest total of any MLS club. "It's been tough for us in front of goal, for sure," Colorado's Giles Barnes said. "Sometimes you need a little bit of Lady Luck, whether it's an own goal, or it comes off of someone's ear, a deflection in - it's just quite not gone for us but we've got to keep our spirits high and keep going." Rapids head coach Anthony Hudson hinted that Barnes and Shkelzen Gashi would spend another week paired up as strikers, in an effort to create more stability in the lineup. Colorado will be without another key regular in this week's lineup, as midfielder Kellyn Acosta is off with the United States men's national team. Minnesota will be without Francisco Calvo (Costa Rica) due to international play. Striker Romario Ibarra is questionable with a hamstring injury, while goalkeeper Bobby Shuttlesworth may also miss Saturday due to a knee problem. The Rapids won the first meeting of the season between the two teams, a 3-2 result in Colorado on June 23.